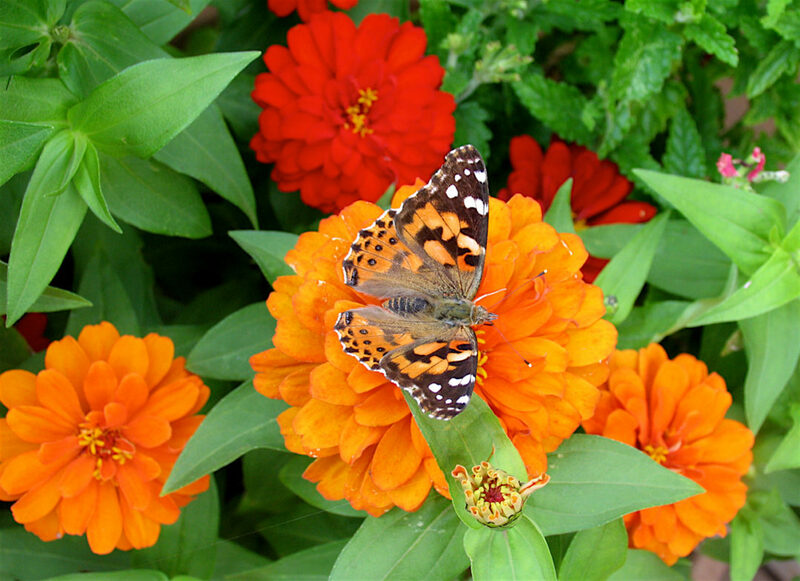 Want to attract more butterflies to your yard? Then double its appeal by offering host plants along with nectar plants. Why two kinds? Adult butterflies don’t have teeth and survive by sipping nectar from flowers, but their caterpillars have chewing mouthparts and survive by eating plants — host plants. The right host plant is a matter of life or death for a caterpillar — if you pluck one off a parsley plant and place it on, say, an aster, it’ll starve to death. That’s because the plants aren’t related. There is such a tight bond between a caterpillar and its host plant that sometimes even a switch between two related plants will cause it to stop eating. The butterflies listed below are some of the more common ones you may attract to your yard or garden if you add host plants. Note that some of these butterflies may not inhabit your particular area.